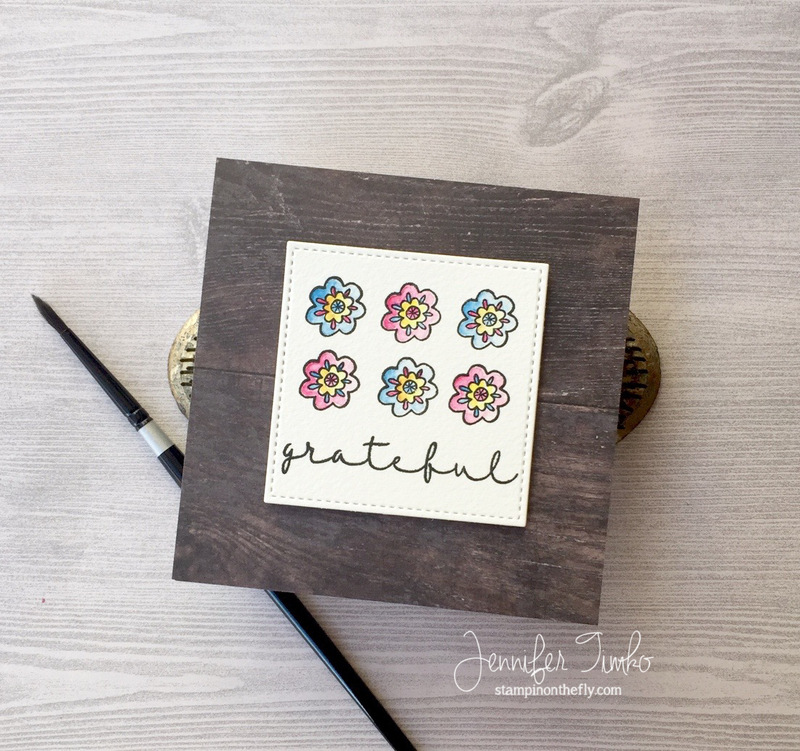 I’m so excited to be able to share with you one more card I made for the collaboration this month between My Sweet Petunia and Joy Clair. This is a month long partnership and it gives you lots of opportunities to win! 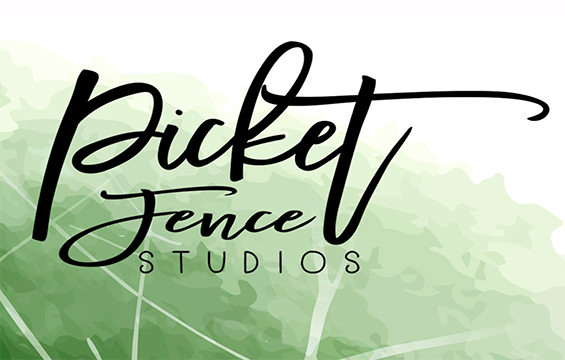 With two full designs teams (I’m guesting in with My Sweet Petunia), all you have to do is comment on posts where you see this blog hop banner. You are then entered to win these prizes: two $25 gift certificates to Joy Clair or one MISTI (your choice of original or mini). Winners will be announced in April on both blogs. This card is brought to you by the fun of repeat stamping with the MISTI. Yes, I did say the fun of repeat stamping. Those are not the words I would have used without a MISTI!! *smile* I started by stamping the top center flower and then moved the paper left and right the same distance to stamp the rest of the row. Then I moved the paper up and back to center and started the process again. Perfect alignment, no stress, almost no actual math. I added this sweet sentiment that comes from the same set as the flower (Thank You for Everything). I colored in the flowers using my watercolors and then cut the image with a stitched square die. I thought that the dimension from the Wood Textures paper on the base was perfect to complement the flowers so I just layered it onto the square base and popped the image layer up with Dimensionals (SU). I thought this was the perfect card for today. I am grateful for many things! For friends and family, on that I’m very blessed! 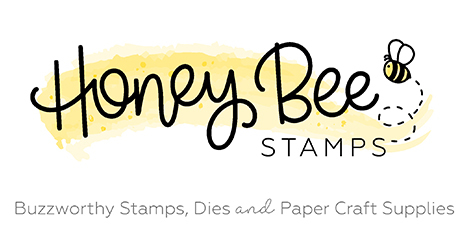 For this stamping community, the encouragement from you brings me such joy. And despite the fact that today is Good Friday, I’m grateful that I know Easter will come. I hope that you have a beautiful Easter weekend! Make sure you go over to the Joy Clair and My Sweet Petunia blogs to see what other inspiration they have for you. And don’t forget to leave your comments for a chance to win! I’m so excited to be able to share with you another card I made for the collaboration this month between My Sweet Petunia and Joy Clair. This is a month long partnership and it gives you lots of opportunities to win! With two full designs teams (I’m guesting in with My Sweet Petunia), all you have to do is comment on posts where you see this blog hop banner. You are then entered to win these prizes: two $25 gift certificates to Joy Clair or one MISTI (your choice of original or mini). Winners will be announced in April on both blogs. 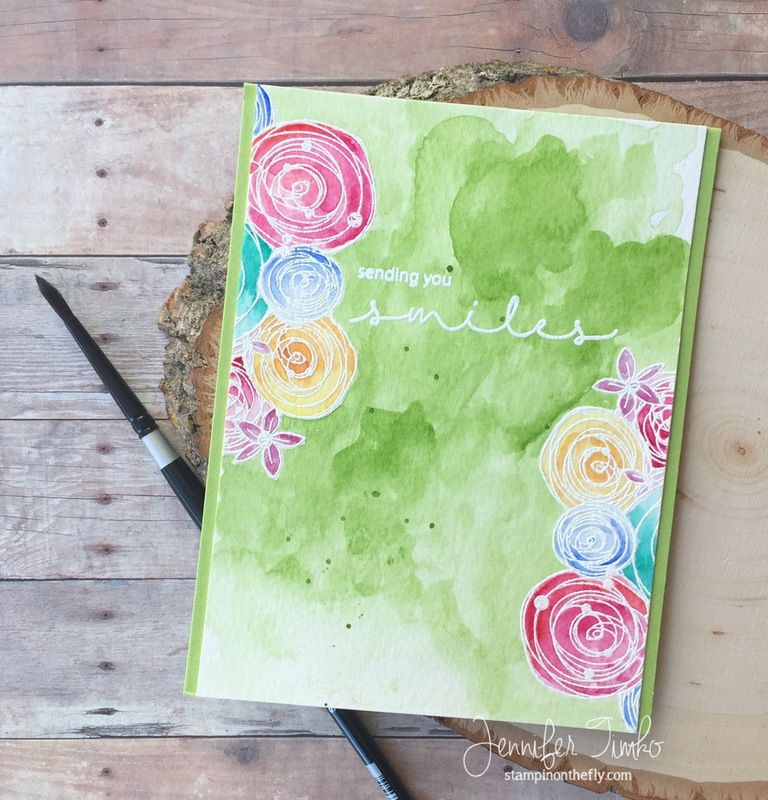 I’m continuing on my spring theme today with this sweet little flower set called Grow in Faith. I just love all the little flowers in the set but thought it would be fun to but them in the watering pail. There was a bit of masking for this card. First, I stamped the pail using Momento Tuxedo Black ink. Then I put down my mask over the pail. I pulled this wooden image from the Christmas Nativity set (part of a stable) to create a table for the flowers. With mask safely in place, I stamped the first (top) board, then I masked that and stamped the second one. The MISTI takes away all the fear on making mistakes…and no starting over if there is incomplete stamping! I do find that on masking projects I always need to stamp twice. Once those were done, I stamped the flowers (with the pail mask still in place). Notice that I had cut the little top part off the pail mask so that the flower appear to be in the pail. So after all that was done, I pulled off all the masks and YAY!! There is always a bit of a moment of holding your breath with masking…at least for me. I stamped the sentiment and then colored the images using Copic markers. Such a sweet little card! I’m so excited to be able to share with you a card I made for the collaboration this month between My Sweet Petunia and Joy Clair. This is a month long partnership and it gives you lots of opportunities to win! 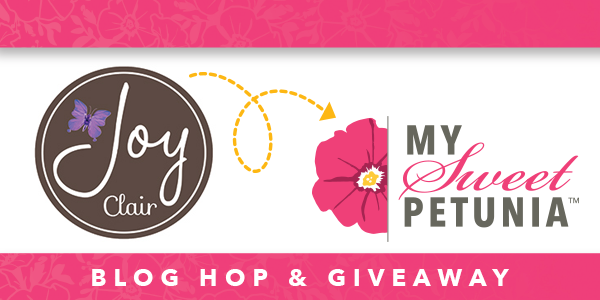 With two full designs teams (I’m guesting in with My Sweet Petunia), all you have to do is comment on posts where you see this blog hop banner. You are then entered to win these prizes: two $25 gift certificates to Joy Clair or one MISTI (your choice of original or mini). Winners will be announced in April on both blogs. So today, I pulled out this amazing Hugs and Smiles stamp set. These flowers are so pretty and I love the sentiments. 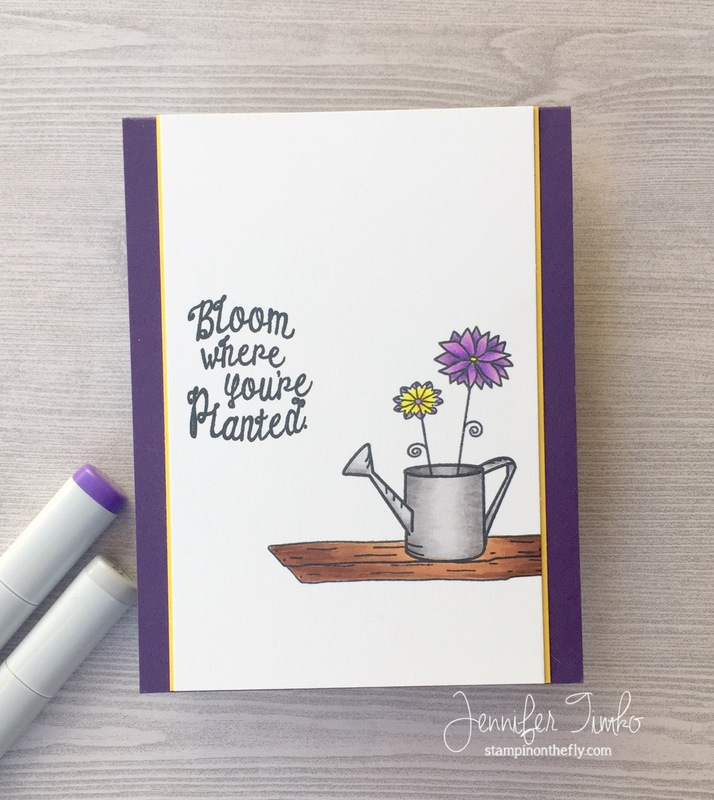 I lined up the stamp on one side of the watercolor paper and stamped using Versamark Ink, then heat embossed with Wow White Embossing Powder. I did stamp twice with my Versamark because it is kind of hard to see if you missed a spot. Of course, the MISTI makes that super easy! Then, and here is where the MISTI really earns her keep, I flipped the card stock and stamped again. The stamp positions exactly where it was on the opposite side with no stress. Perfectly symmetrical!! Using some watercolor paints, I painted the flowers and then chose the green for the center section. Something about a nice spring green makes me happy! Also, it was snowing when I made this…in spring…when there had not been snow all winter…. So yes, spring green! I splattered on a little extra paint and then decided which sentiment to use. Now, without a MISTI, this card would have gone without a sentiment because it would certainly have been ruined. I know we all did that before this tool came around!! But into the breach I went (not really…there was no stress, lol), and I stamped the sentiment with Versamark and heat embossed it too. The whole panel is so pretty on this green base, don’t you think?! Ok, now I made you look so you need to go find all the blogs participating this month. 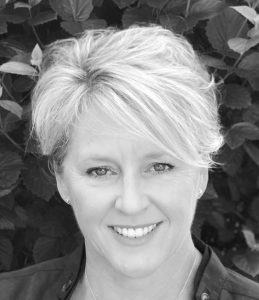 Start with Joy Clair and My Sweet Petunia and you will find their teams! I’ll be back in a few days with more from this collaboration. Until then, have a great weekend!